Chef Michael Allemeier has traveled the world and Canada learning his craft. 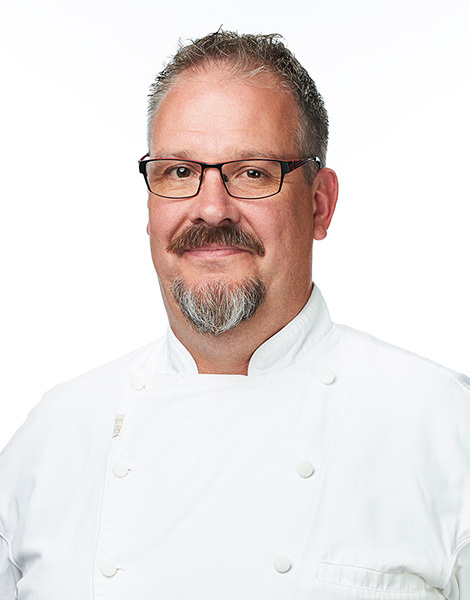 Prior to joining SAIT (Southern Alberta Institute of Technology) as a Culinary Professor, Chef Allemeier ran some of Western Canada’s most recognized kitchens. While in Vancouver BC, Chef Allemeier was Executive Chef at Bishops Restaurant, then Teatro Restaurant in Calgary, AB. Allemeier’s passion for food and wine pairing was realized with the call to lead the stoves at Mission Hill Family Estate in the Okanagan Valley, BC. During his career, Chef Allemeier has received many awards and accolades the most notable occurring while he was Executive Winery Chef at Mission Hill Family Estate, when Travel and Leisure Magazine awarded him the honour of leading one of the “Top Five Winery Restaurants in the World”. Most recently, Chef Allemeier earned his master chef certification, becoming only the third in Canada to receive the pinnacle designation. Four years of intense study, assignments and exams went into becoming a Certified Master Chef (CMC), giving Michael Allemeier the rare chance to be a student and instructor at the same time.